Most business that billing to customers later struggles with getting the collection on time. 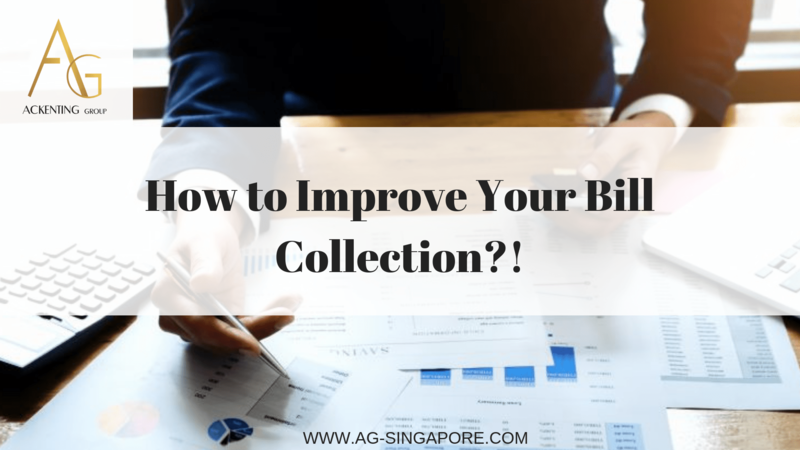 Billing and collection are one of the factors that will directly affect your company cash flow. No matter how profitable of company revenue and income, failure of the collection may sink your business. Especially when company needs to cover with high overhead cost, tight cash flow will become problematic for your business. There is no 100% guarantee that you will able to receive the payment on time, however, these following are the five processes that will greatly improve your company billing and payment collection. Just like you will provide the handwriting invoice to your client in this modern era. Most of the manual system is least track-able, compare to you key it into the software. Most of the software will have a reminder of your creditor/debtor aging. Sometimes manually handling billing leave too many opportunities for mistakes to occur. Therefore getting away from the manually tracking system will allow you to bill your client on time and with the accurate invoices will make it easier for you to be paid promptly. Many of company required the physical invoice as that convenient for them to do the physical filing. However, delivery invoice by email also one of the ways that to ensure your invoice can that reached to your client and the right person. Besides that, sending the invoice through email can be easier for you to track down an appropriate email contact instead of error might happen physical address. It’s also easier to follow up with a second invoice via email than it is to send another invoice via mail hoping someone gets, because of your client able to tell you that instantly whether he or she received. One of the factors that affect your billing and invoice not to deliver on time is because of the process to approve and sent out a billing took too long of the time. Usually, an invoice should be approved and sent out promptly. To cut down the on the waiting time, the company should Institute a system that requires invoices be approved within 24 – 48 hours. If the approval doesn’t happen in the necessary time frame, escalate the issue to a higher-level manager. It is one of the ways that to encourage clients to pay early. Even by offering a single percent of discount is a nice way to get clients to pay earlier, especially for that client who has a history of late payment. It is clear that a client with sufficient cash balances or a readily available line of credit should take advantage of the early payment discounts. Cash-strapped clients may find the discount appealing as they search for any savings they can find while they get their finances in order. However, some client with might very little cash, they may be wise to forgo the early payment discounts in order to avoid the risk of overdrawing their checking account.